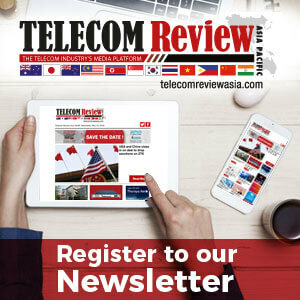 The Asia-Africa-Europe-1 (AAE-1) consortium announced that the world’s largest submarine cable system in more than a decade has officially launched, with services commencing from Europe to the Far East. AAE-1 is a unique, next generation cable system - the first submarine cable system to link all major Asian, African, Middle Eastern and European regions, seamlessly combining terrestrial and subsea routes to provide the lowest latency connections between the regions. With a capacity of at least 40 terabits per second across 5 fiber pairs, AAE-1 is designed from the outset with 100Gbps transmission technology, which may be upgraded in the future to fulfill increasing bandwidth demand. 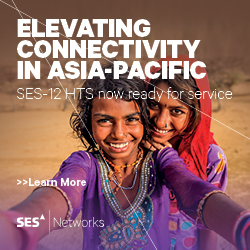 Configured with express routes and the minimum number of hops between Points of Presence (PoPs) in Europe and Asia, AAE-1 is the high performance, economic solution for OTTs, international carriers and enterprise businesses. Six specialized cable ships and numerous support vessels have been engaged in completing the installation in the Mediterranean, Red Sea, Indian Ocean and Gulf of Thailand. Network equipment has been deployed and tested at more than half of the AAE-1 cable landing stations. The protected transit routes across Egypt, Thailand, Malaysia and Singapore are also nearing completion. By working closely with experienced suppliers and with the integral support of its owners, this complex project continues to progress as planned. When the system enters service, AAE-1 shall serve as a primary route for the ever-increasing demand for bandwidth, supporting all forms of communication and applications; broadband internet, video, voice and data. Demand fueled by the economic expansion of countries will elevate AAE-1’s status as critical infrastructure, essential for growth along the route. Under the cooperation of China Unicom, CIL (HyalRoute), Djibouti Telecom, Etisalat, GT5L, Mobily, Omantel, Ooredoo, OTEG, PCCW, PTCL, Reliance Jio, Retelit, Telecom Egypt, TeleYemen, TOT, Viettel, VNPT and VTC, AAE-1 connects Hong Kong, Vietnam, Cambodia, Thailand, with Malaysia and Singapore, then onwards to Myanmar, India, Pakistan, Oman, UAE, Qatar, Yemen, Djibouti, Saudi Arabia, Egypt, Greece, Italy and France. Not only as the primary route of choice, AAE-1’s completion will now provide protection and diversity to existing vulnerable and heavily congested routes. With diversified termination in Asia (Telecom House Hong Kong and Equinix/Global Switch Singapore) and three options in Europe (Greece, Italy and France InterXion MRS1 and MRS2, Marseille), AAE-1 is the unique robust, high capacity low-latency bandwidth solution along the Eurasia corridor. According to the AAE-1 consortium, the segments connecting Vietnam, Malaysia, Singapore, Thailand, India, Pakistan, Oman, UAE, Qatar, Djibouti, Saudi Arabia, Egypt, Greece, Italy and France have been launched for service. The other segments including Myanmar, Yemen, Cambodia and Hong Kong are expected to be ready for service in October.